Click the link below to subscribe to our newsletter, "The Pod". We won't fill your inbox constantly with emails but we assure you that on occasion you will receive helpful tips, reviews and summaries of the podcasts, and special offers from sponsors and useful resource information. This is inspiration and encouragement for your home school journey. 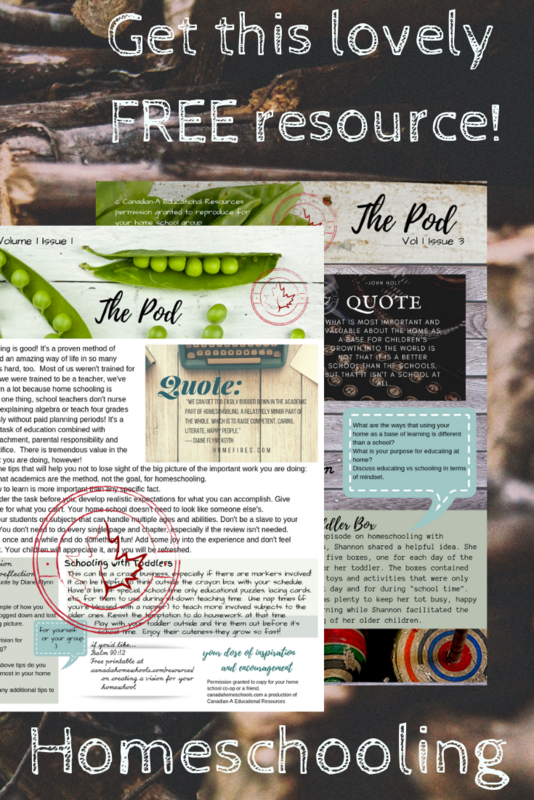 This lovely newsletter can be used to start conversation in your home school group and has helpful tips just for you! Thanks for subscribing! Your first issue is on its way to your inbox right now! Happy homeschooling!